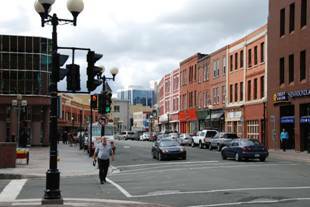 Water Street , developed in the early 16th century, is the oldest street in North America . It became a commercial trading outpost for the Basques, French, Spanish, Portuguese, and English. 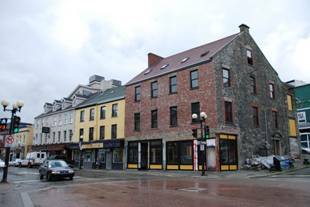 To this day, it remains the hub of commercial activity in the city of St. John 's , Newfoundland , Canada . 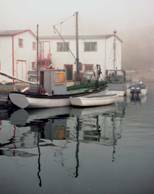 The mist soon turned to rain pelted us as we scrambled over to the book racks of the Downhomer . 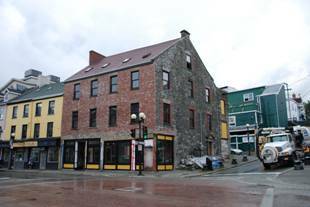 What is important to keep in mind that Water Street is close to the bottom of a steep hill and all the rain runs downhill. The catch basins in the gutters next to the sidewalk are filled to overflowing even with a gentle drizzle. The pouring rain swells the puddles to 4 feet wide and 4 inches deep, not a quick hop across the street. Since the car was parked facing east, we started to head up Signal Hill. We could see the cloud banks were rolling in and starting to obscure the Cabot tower. There is an expression of the land that acknowledges “ if you don't like the weather, wait 10 minutes and it will change" we decided to head up anyway. Even in the parking lot, at less than 10 yards from the tower it was obscured missing completely. The weather changed all right. 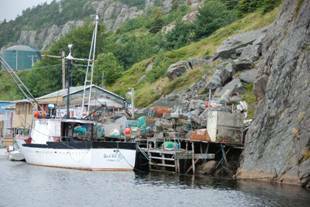 okay so let's head out to Cape Spear and Petty Harbor , Bay Bulls. 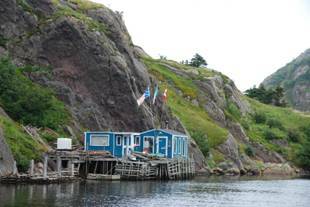 Quidi Vidi (p ron unciations vary, even amongst longtime residents, but "Kiddy Viddy " is the most common) is a neighbourhood in St. John 's , Newfoundland and Labrador . 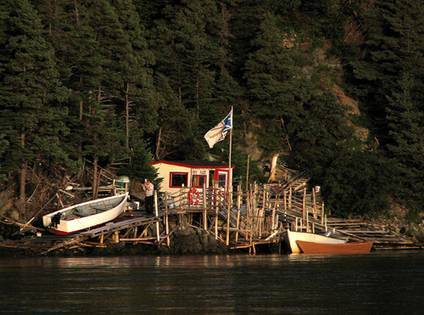 It was known for once being a historic fishing village. 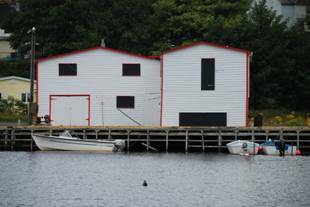 The neighbourhood is named for both Quidi Vidi Lake (where the Royal St. John 's Regatta is held the first Wednesday in August, weather permitting) and Quidi Vidi Harbour - known locally as "The Gut". 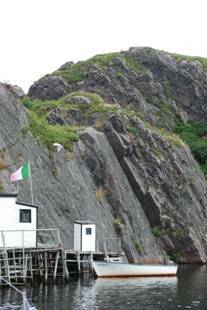 Located in Quidi Vidi is the Quidi Vidi Battery Provincial Historic Site, which had significance as a battery during the War of 1812. 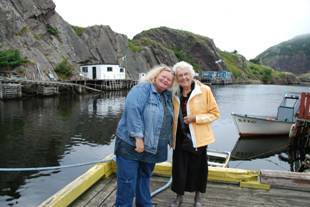 The village is also home to Newfoundland 's largest microbrewery, the Quidi Vidi Brewing Company. 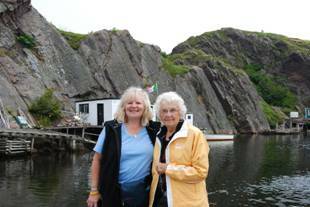 Quidi Vidi is threatened with a destructive development that - in spite of petitions - the Mayor refuses to stop. The French (4 men of war and 800 regulars) under the command of Compte D'Haussonville acting under the French foreign minister, captured St. John s on the date of June 27, 1762. 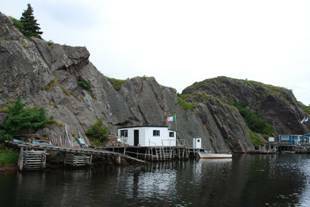 The French, then preparing for a counter attack constructed what is now known today as the " Quidi Vidi Battery ". It was temporarily built and only held two guns. 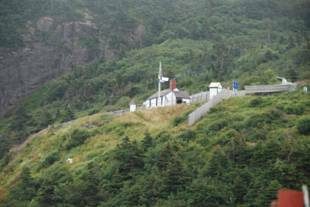 The purpose of it was to defend the rear of Signal Hill. By mid-September the British and New England troops had formed together 1500 men under the command of Lt. Col. William Amherst. 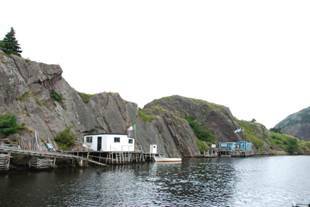 They were just off the narrows of St. John s when he wrote the following passage, which showed his contemplation of landing in Quidi Vidi . "The passage through the gut of Kitty Vitty , being as narrow as only to allow one of our boats going at a time, and having certain intelligence, that the enemy had stopped up this passage by sinking some shallops , I was obliged to give up determination I had made of landing here and came to a resolution of landing in Torbay , about 8 miles to the northward". 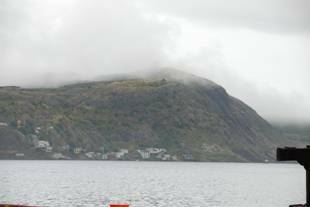 On September 13, 1762 Amherst landed in Torbay and marched to Quidi Vidi and captured it after a brief but short encounter with the French at the battery. 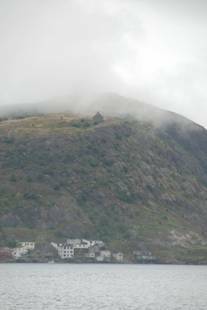 Continuing further up towards Signal Hill, the British had fought for and captured St. John s .
The Battery was not bothered until about a decade after the recapture of St. John s from the French. 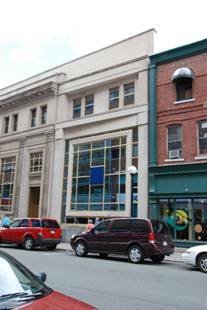 The battery was rebuilt and enlarged before the American Revolutionary war in 1776. 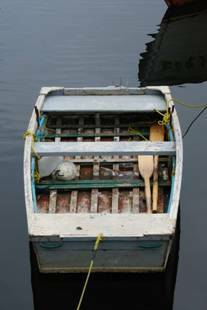 It contained four, 18-pound car ron ades and two, 6-pound cannons. Peace talks began in 1783 and the battery was again abandoned. 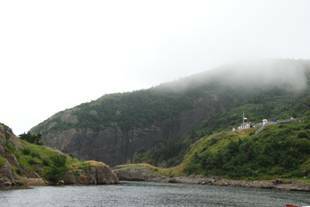 The restoration of the Battery was forced in 1793 because of the outbreak of the revolutionary France . 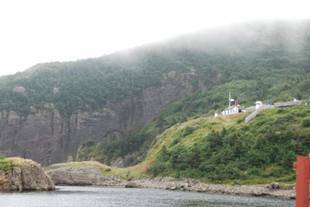 The Battery was manned throughout most of the 1790's.